Music is an element that can take a simple show and make it fantastic. This text will identify the various uses of music. I will go into detail on a simple "start up" system you can use. 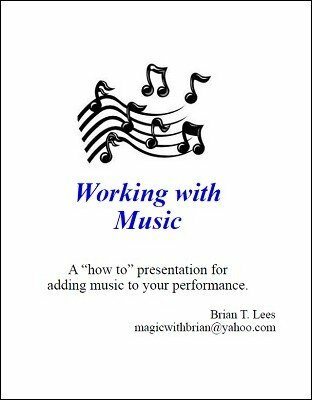 Sources for music will be identified as well as editing materials. A system you can control while on stage, using music that has been edited to fit your performance might already be near your fingertips.